Thatch is a buildup of decomposing blades of grass. This is mainly caused by mulching your grass when it is mowed. 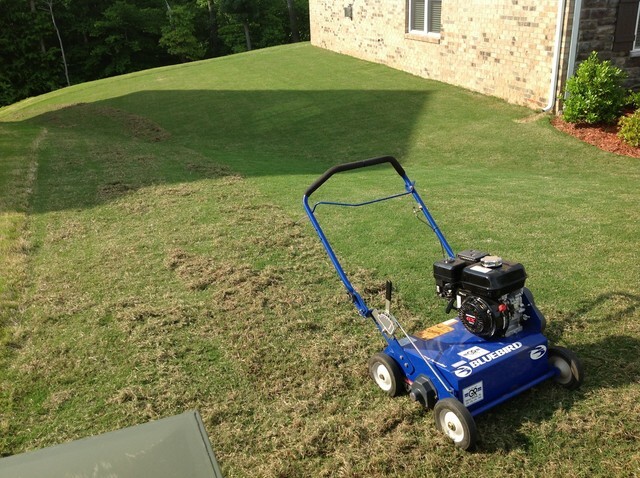 In order to remove thatch from your lawn we recommend getting a power rake in the spring or just simply rake your lawn by hand. De-thatching does not need to be a regular lawn chore and should be done at least once a year in the springtime.